Birth of Victoria Marie to Victor II and Constance Frankenstein. Constance dies soon after from an epidemic fever. until the entire lineage was wiped off the face of the planet. Dracula remains a mystery at this time. into a soul-clone with a great degree of power. frequent feelings of guilt and self-pity cause Dracula-Prime to due to his increasingly frequent errors in judgment over the course of the decade to abandon the use of this soul-clone, and releases him to his own devices. and its efforts to re-enter the Earth dimension and control humanity. During this time, Dracula-Mordante increases his power further still as a result of coming into possession of a book of magick belonging to the cult known as the Crimson Chronicles (which may or may not be related to other tomes of dark magick, such as the Necronomicon, the Demonomicon, the Ruthvenian, and the Darkhold). also clashed a few times with Conrad Van Helsing and his son Adam. soul-clone of the Vampire Lord, Dracula-Mathias. reported as resembling each other to some degree. Dracula-Mordante as seen during a sojourn in Styria circa 1887. Pic courtesy of MONSTAAH archives. target in his continual crusade of vengeance on the Frankenstein family. is evidenced by their uncaring actions toward humanity in their adult lives. Birth of Countess Marya Zeleska to Dracula-Lejos and Maleva Blasko. vampires, second only to him. She is given the second Star Stone ring. Llanwelly, England Elizabeth Talbot dies. killing his first son, Ben, and driving his wife, Solana, to suicide. exclusive boarding school in Vienna. then free to experiment in the dark. * See below entry for 1850. 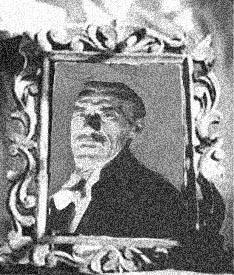 Photo of Prof. Lawrence Van Helsing's portrait, courtesy of the Van Helsing family. vengeance declared upon the entire Tartoff lineage. to him. This soul-clone has been designated Dracula-Rominoff. 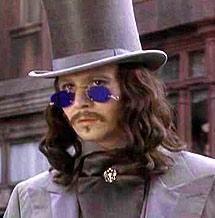 has become, and his insistence that he was none other than the "true"
Count Dracula, that she commits suicide. could be translated into "Son of the Dragon" in his native language). by the monks dwelling there for safekeeping. Dracula-Rominoff in the course of the melee. the latter was indeed the true Vlad Tepes. to Transylvania to return the Star Stone ring to Dracula-Prime. would become one of the most prominent of the soul-clones. Portrait of Dracula-Latos painted by the late Miliza Talbot. studied by Prof. Steven Pertwillaby. was recorded in Guy Endore's file entitled The Werewolf of Paris. fragment of the Star Stone he appropriated from Dracula-Prime's ring. and the Dieter Clone to Tasmania. Hellmouth evidently existed [see entry for 1854]. * What this favor was, the report does not say. Vampyre; The Return of Lord Ruthven; Lord Ruthven Begins; and Micha Harris' file "May the Ground Not Consume Thee..." from Tales of the Shadowmen 5: The Vampires of Paris. index to this version of Dracula. 20th century in which he was a pawn of this entity. iterations of Creepy and Eerie published by Dark Horse Comics. Birth of Maria Van Helsing to Abraham and Elizabeth Van Helsing. the brusque and impatient warrior priest, Father Rice. and they thus both answer to a single name. strength and formidable wrestling skills to battle the enraged Monster. * See Tom Priestley and Bill Flowers' report DRACENSTEIN. Albrecht Von Junzt, the nephew of famed occultist Frederick Von Junzt. horrified by his explanation for what he was doing, and left him. experiment in many scientific and occult matters." plans, resulting in their deaths at the hands of Victor III or his Creation. is found innocent and the Monster appears destroyed." 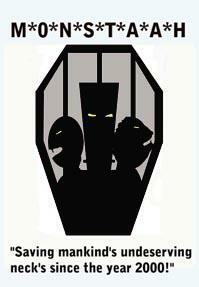 ** See agent Sangster's file HORROR OF FRANKENSTEIN. Felicia Saville. The two of them make their home in New York. between her child and his biological father at some point in the future. she flees back to Germany. assistance of Paul Krempe, creates his second Monster. Frankenstein. Alphonse Victor becomes the new Baron. 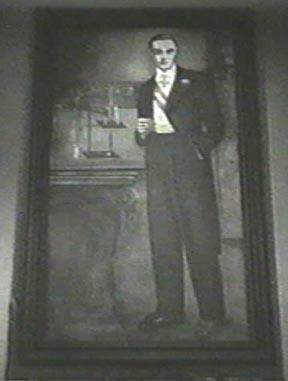 Painting of Henry Frankenstein, courtesy of an anonymous member of the Frankenstein family. Transylvania Bela Blasko is born to Dracula-Lejos and Maleva. Dracula's plans are to make Bela the leader of a pack of werewolves. When Bela reaches a certain age, he is given the Wolf's Head scepter. by killing sculptor Delvin Tartoff. Undead (a.k.a., Bloodright) and Dracula, My Love. 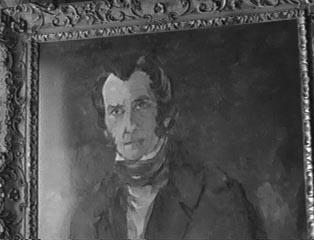 being another son, Benjamin "Ben" Talbot. lycanthropy--distant cousin, Lawrence "Larry" Stewart Talbot. project are discovered by the townsfolk of Karlsbruck, Victor III is killed. * See Terence Fisher's file THE REVENGE OF FRANKENSTEIN. Transylvania Dracula-Prime creates another disappointing soul-clone. named Edwin Cobblepot, whom Dracula-Prime renames Grimpod. When choosing this subject, the Dark Prince was unaware of his incompetence, and like Lestat before him, Grimpod is released to the world. However, this soul-clone continues to believe that he is Dracula-Prime. Months after this failure, Dracula-Prime embarks on a new venture.